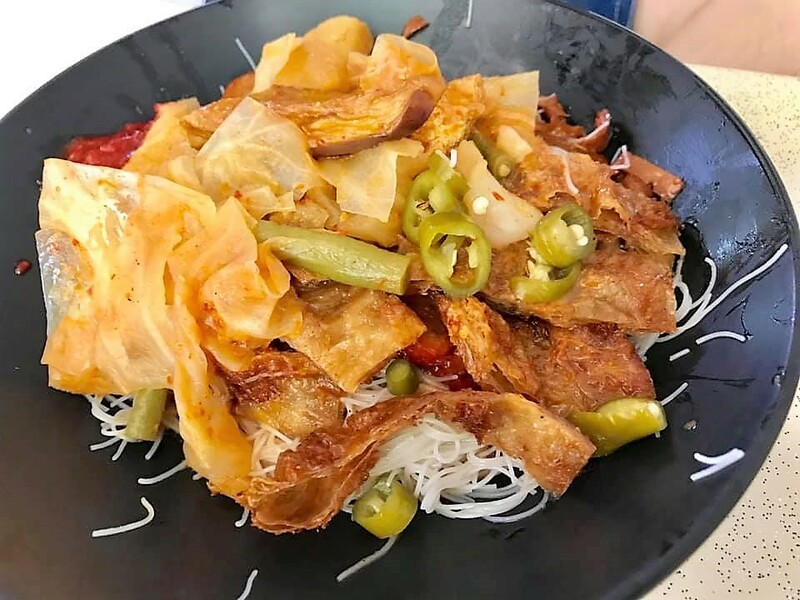 HC and i went to visit WT & GY..3 of us walked over to tanjong pagar plaza level 2 coffeeshop & took yongtaufoo..
WT took vegetarian beehoon..he said very good..
HC doesn’t take any sauce. 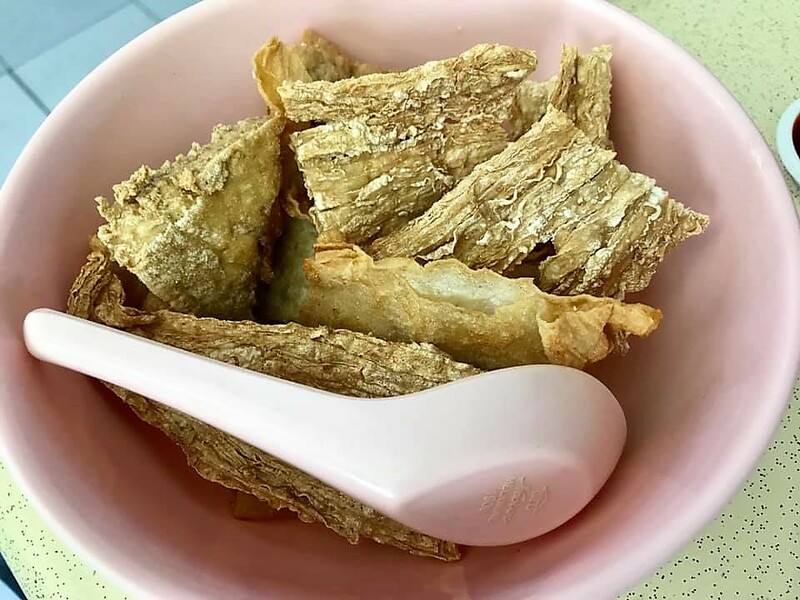 not sure how to eat ytf like that leh? mine had too much sauce…hahaha! i like it. 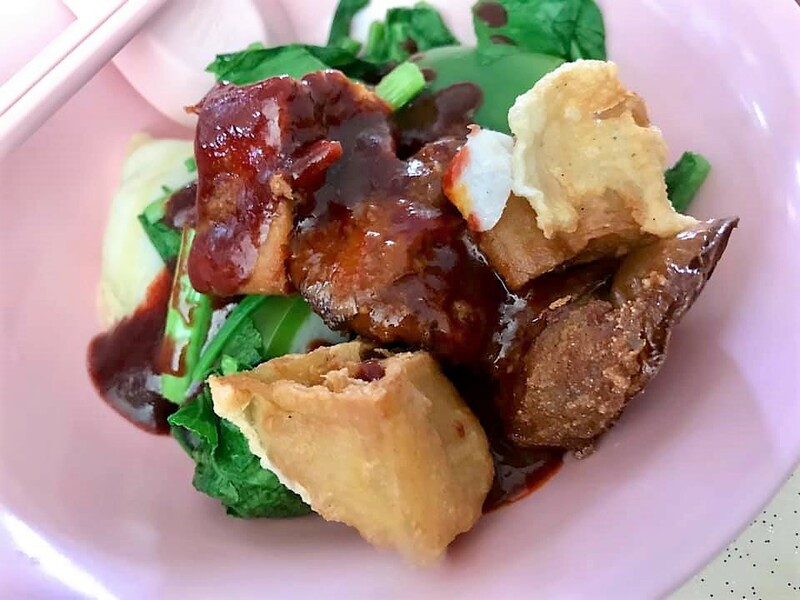 this is hakka ytf had a few fried items…quite ordinary to me no better than ikan bilis ytf at chinatown and the similar one tiong bahru ytf at eng hoon street. afterwards WM had to go, HC & I went with WT back to his place to visit GY.